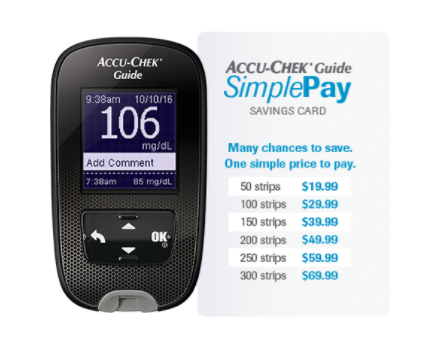 Bottom line: The mySugr-Accu-Chek Guide integration is both delightful and disappointing. 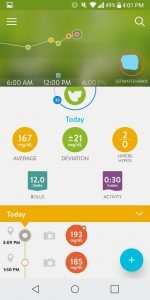 Previously, I reviewed the mySugr diabetes logging app and the Accu-Check Guide glucose meter separately. In this post I review of how they work together. 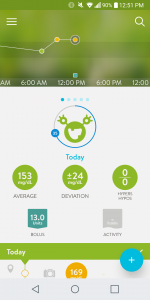 The mySugr app supports data imports from several meters. I tested out its integration with the Accu-Chek Guide. The experience was a mixed bag. This cuts out one very important step in logging: manually entering the BG reading into the app. While that may seem like a small thing to the uninitiated, for me the logged BG reading becomes the basis for filling in the details as-I-go and when I do my end-of-day review. I don’t have to go back and forth between the meter and the app to capture the day’s readings. Which, believe it or not, I find fatiguing. The second auto-magic thing the date transfer does is, if you do make a manual entry into mySugr with a time stamp very close to the time stamp of meter’s BG reading, both entries are merged into one. So, instead of ending up with a series of partial log entries you get a single, consolidated entry. This is delightful. This also means that if you manually enter the BG reading into the app the meter will overwrite that number when the data transfer happens. 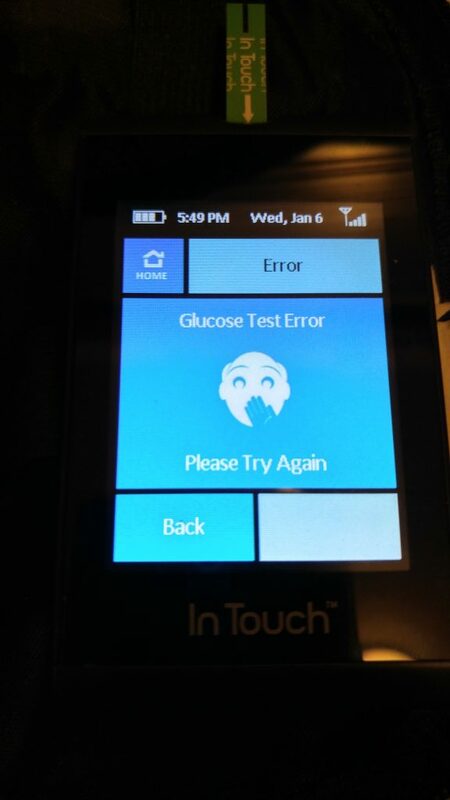 You know this has happened when you see the asterisk next to the BG reading in the mySugr app. The disappointing thing about the data transfer is that it only transfers the date, time, and BG reading. The Accu-Chek Guide gives you the ability to tag each BG reading as being before or after a meal, at bedtime, or other. Even though these tags align directly with tags in mySugr, they don’t transfer automatically. 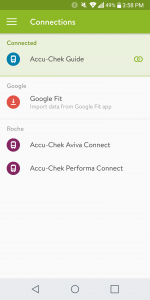 mySugr and the Accu-Chek Guide connect using Bluetooth. Bluetooth is wobbly-bobly. 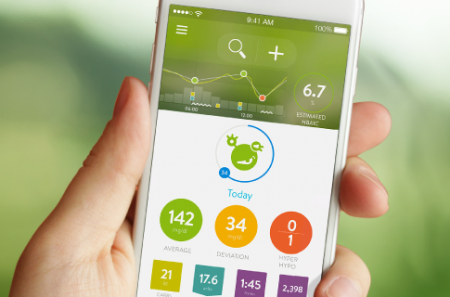 Bottom line: A million registered users can’t be wrong about mySugr, the best diabetes logging app I’ve found. I’ve used mySugr (Android) for more than two years. Which is an eternity when it comes to health apps. And I paid for the annual subscription most of that time. Which is a testament to how useful I find mySugr to be. 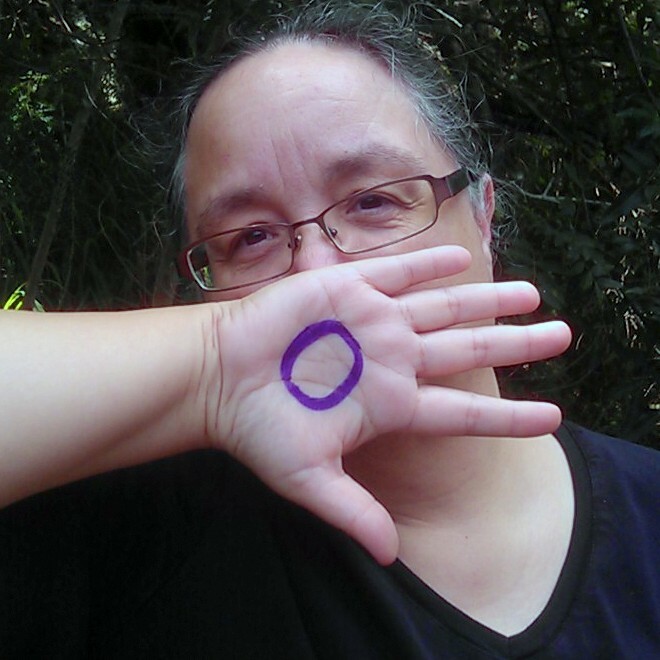 Several of my friends in the diabetes online community make a point of saying that they no longer keep a BG log. After years filled with meticulously logging BG readings and carb counts that still didn’t result in improved diabetes management, they gave up. For them logging became a judgement. So, I see you were high/low on Thursday, the 14th. What happened there? Logging is no longer a tool for planning or problem solving. 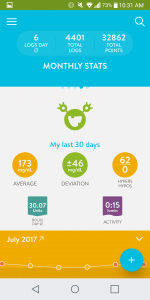 mySugr is designed to give you meaningful feedback both immediately on the screen and later in a report. It’s also designed to make it easy to enter your BG readings and other data. And you get to choose who you share your BG readings with and when. 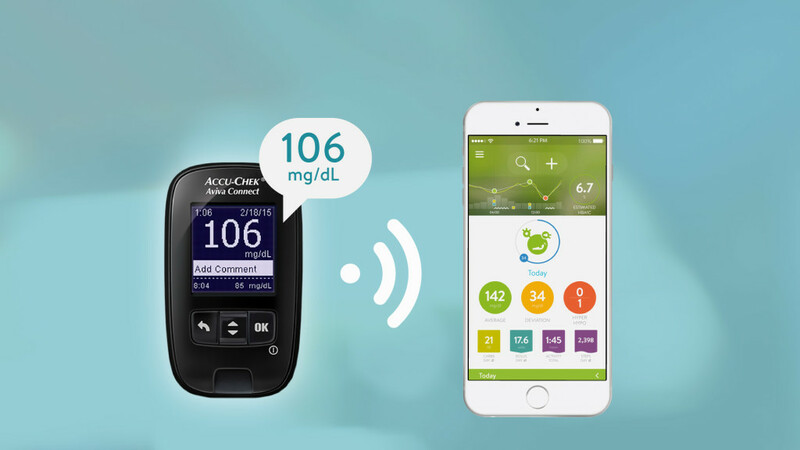 Bottom line: Bluetooth connectivity is what makes the Accu-Chek Guide more than just a standard, reliable blood glucose meter. I received an email offering me a free Accu-Check Guide. All I had to do was register online, get a prescription from my doctor, and go to my local pharmacy to pick it up. Easy. The email I received said the Accu-Chek Guide connects to mySugr. Not having to manually enter my BG readings? For free? Okay, I’ll try it out and see. At the pharmacy when I picked up the meter I realized that this little experiment wasn’t going to be completely without cost. I had to buy some test strips. The meter came with batteries, a lancing device and lancets, and a generic carrying case. But it didn’t come with any test strips. OnTrack makes it easy to collect, store and analyze of all your health journal information using your Android phone. Are you looking for a compact, accurate way to track of your blood sugar levels, medication, exercise, carb counts, and test results? OnTrack is a comprehensive Android app that lets you use your phone to record all the numbers and information you would keep in a health journal. 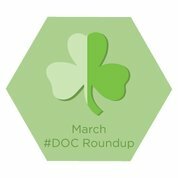 Keeping a health journal is one of the most effective tools for managing diabetes. A health journal gives you the raw data about what works well (and not so well) for you when it comes to managing diabetes. With a health journal you can record all the things you do to maintain your health.